The history of temperament goes back over 2400 years. Around 450 BCE, four (or sometimes five) elements (water, fire, air, earth, and ether) were used to define temperament. Then, about 50 years later, Greek physician Hippocrates’ system of the four humours became popular—an excess of a substance in the body (black bile, yellow bile, blood, and phlegm) would dictate a person’s personality. Years later, in 190 ACE, Galen, a Roman physician/philosopher, also recognized four temperaments (sanguine, melancholic, choleric, and phlegmatic), based on the balance of hot/cold and dry/wet in each person. And about a millennium later, in 1025, Persian polymath Avicenna furthered the four temperaments to include a connection to emotions and thoughts. After the medieval period, various psychologists and philosophers (Immanuel Kant, Rudolf Steiner, Alfred Adler, Erich Fromm, etc.) 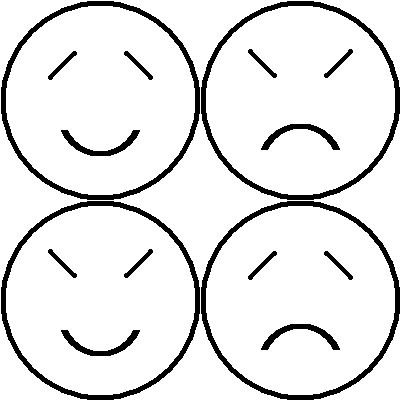 developed their own theories encompassing the four temperaments. Probably the best-known modern-day system is the Myers-Briggs Type Indicator (MBTI), developed in 1958 and based on Isabel Briggs-Myers’ study of Swiss psychiatrist Carl Jung’s four psychological types. Then, David Keirsey developed his four temperaments theory—first (dionysian/artful, epimethean/dutiful, apollonian/soulful, and promethean/technological) in 1978, then in a newer version (artisan, guardian, idealist, and rational) in 1988, and connected them to the MBTI types. This brings us up to today, the 21st century. Most people have heard of the MBTI, and many have taken the formal test and/or some version of it online. There are even diets and dating services (Chemistry) using temperament as a foundation now. So, temperament theory may be around for yet another 2400 years.